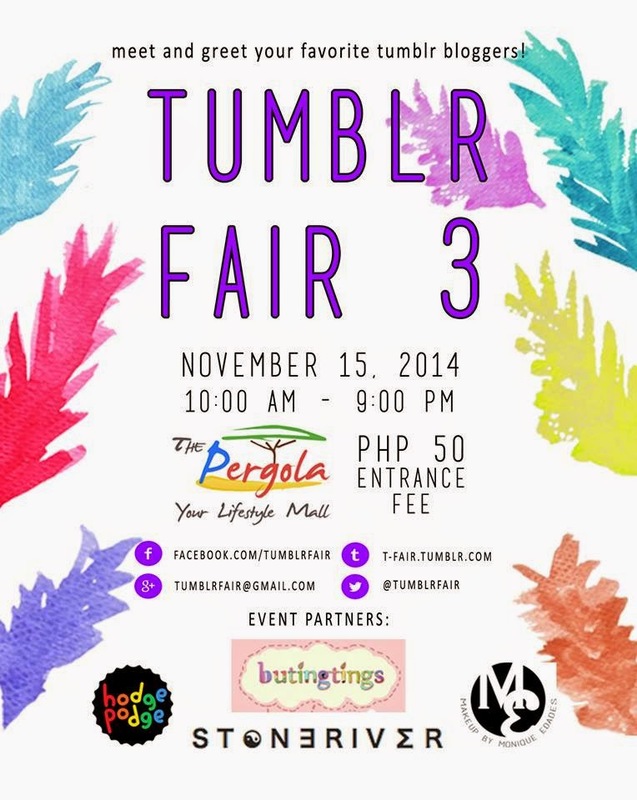 Who's familiar with the Tumblr fair? Basically, it's a yearly event that gives Tumblr bloggers the chance to mingle with their readers and fellow bloggers! In other words, it's almost like a grand meet-up in a bazaar-like setting, filled with booths, games, and presentations. Seeing as the fair was held in Pergola Mall (a mere five-minute walk from my house), I didn't waste the opportunity to attend it. In fact, I actually just came home from the venue and couldn't wait to share the experience. I'm sure you're all familiar with some of the stores that are present during the event. They're all quite popular on Instagram and I've actually been following all of their accounts and buying from them for a long time now. It goes without saying that the Tumblr fair was also a shopping haven! Seashop has some of the coolest designs when it comes to t-shirts. I instantly fell in love with their "one eye" shirt and alien crop top! Alt + Indie is my go-to store when it comes to buying indie band merchandise. They have the best band shirts around (including Arctic Monkeys). Teen Idle is one of my personal favorite online stores because it sells a variety of unique and extremely cool shirts and footwear. For minimalist streetwear looks, Teen Idle is the shop for you! As usual, during an event like this with so many stylish people in attendance, I just couldn't resist doing a "spotted" feature. Here are some of the bloggers, sellers, and customers whose outfits caught my eye! All in all, it was an extremely fun-filled event and it was great to be able to chat and mingle with other Tumblr bloggers while shopping in the process! I always like meeting new people and building new friendships. I will definitely be attending the next one! cool!! may event palang ganyan ang tumblr every year!! ang cool din ng shops!! waaoow! Love the display items!